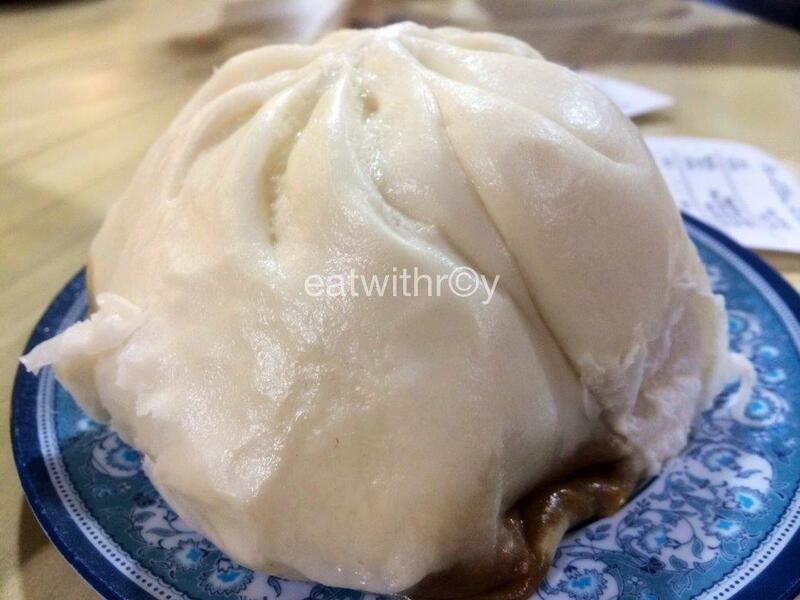 Jumbo Pork Pau RM$5 – Huge 12cm in diameter and filled with pork, turnip and a segment of hard boiled egg. 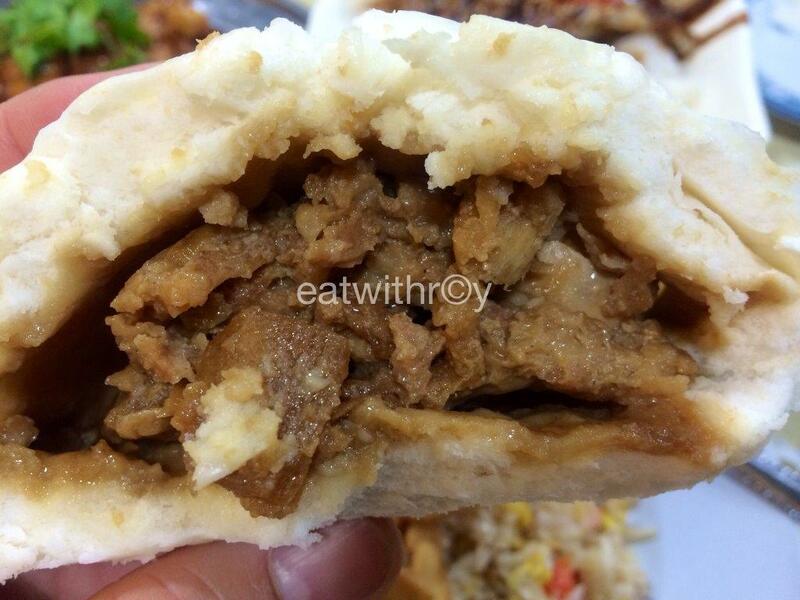 See the amount of pork fillings inside the pau. 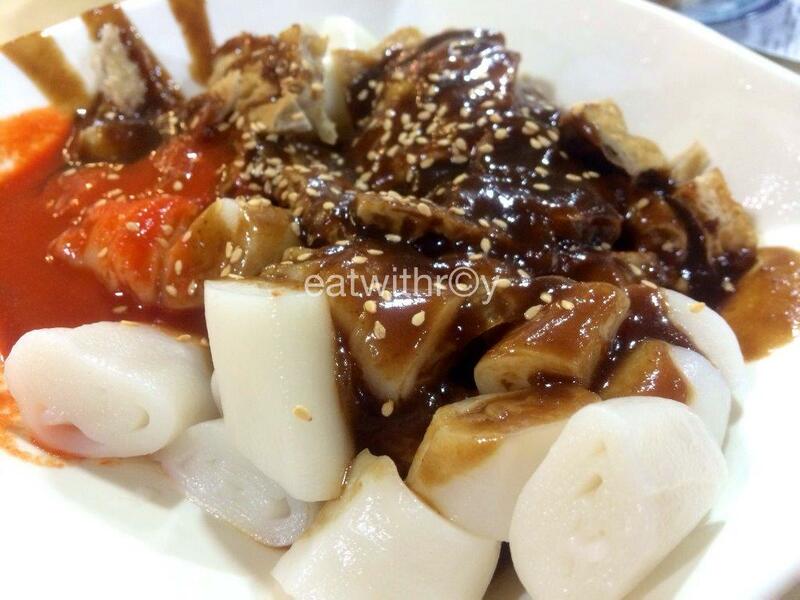 Chee Cheong Fun RM$9 – My mum’s all time favorite. 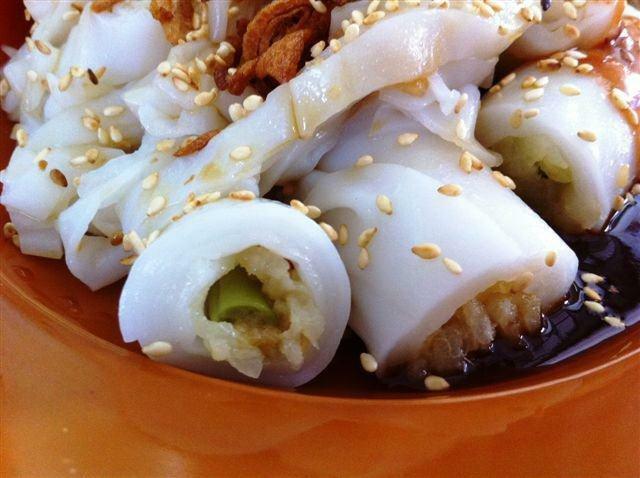 Malaysian’s chee cheong fun comes with yong tau foo on top, which makes it more tasty, Prices climbed a lot since. 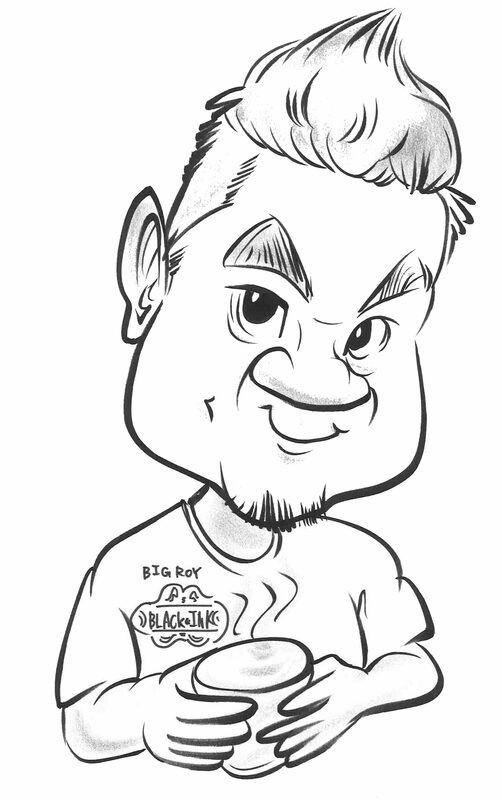 Spare Rib King – Pretty well done, love it. 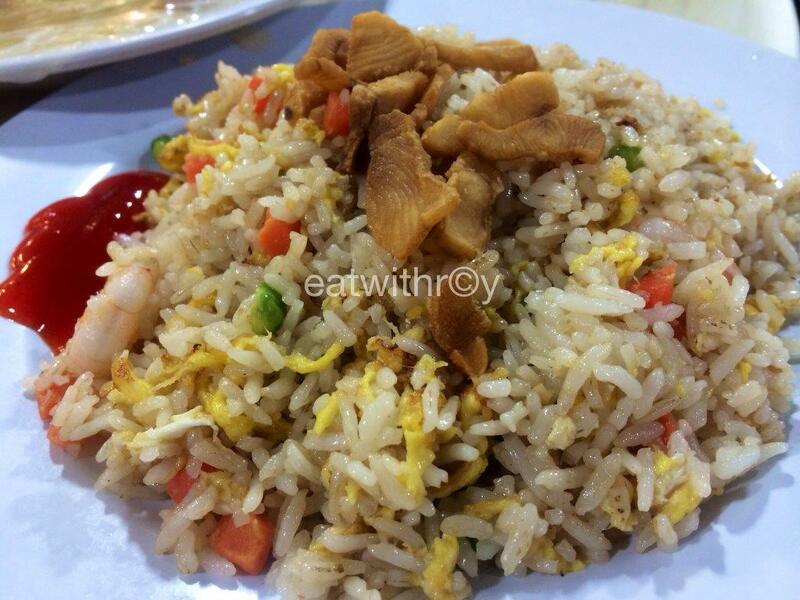 Salted Fish Fried Rice – If you like salted fish like I do, order this! 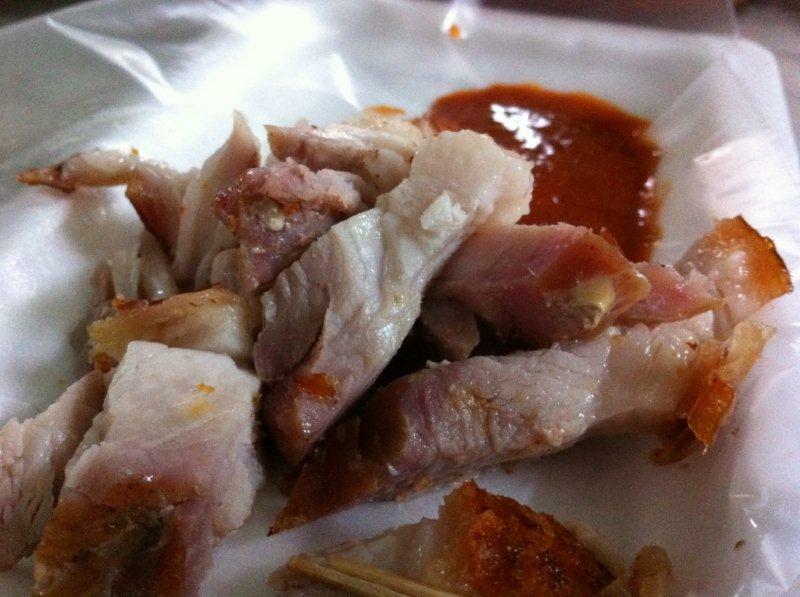 Crispy and fragrant pieces of fish on top, awesome. 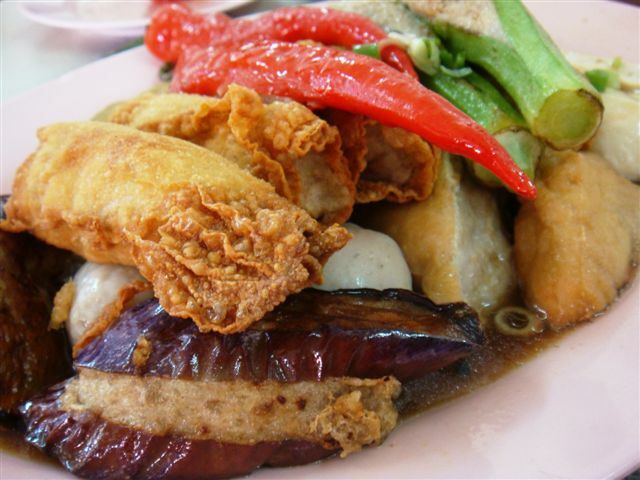 Hor fun – Quite small plate but tasted ok.
Bill for Tse Char, pau and coffee. Service: Self-service. 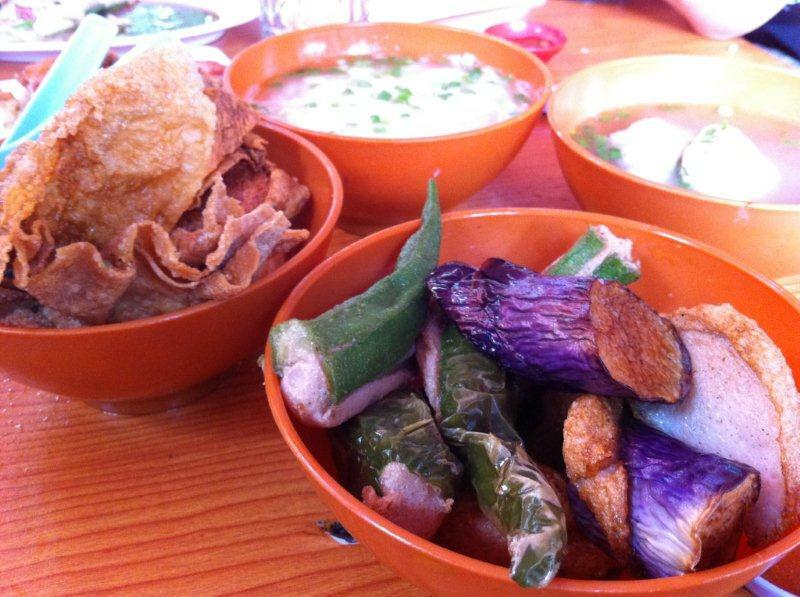 For the tse char you can opt for the dishes be served but will be more costly. 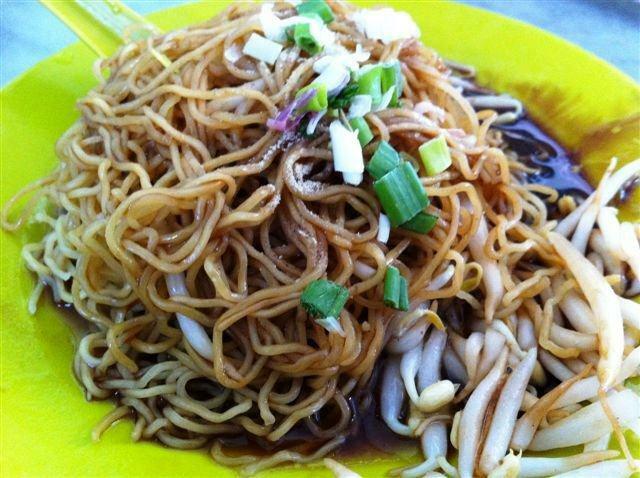 Price: Average around RM$15-30 depending on what you eat. RTE: All the time lor! Location: Basement 5 of Resort Hotel, Genting Highlands. Directly opposite Theme Park Hotel. 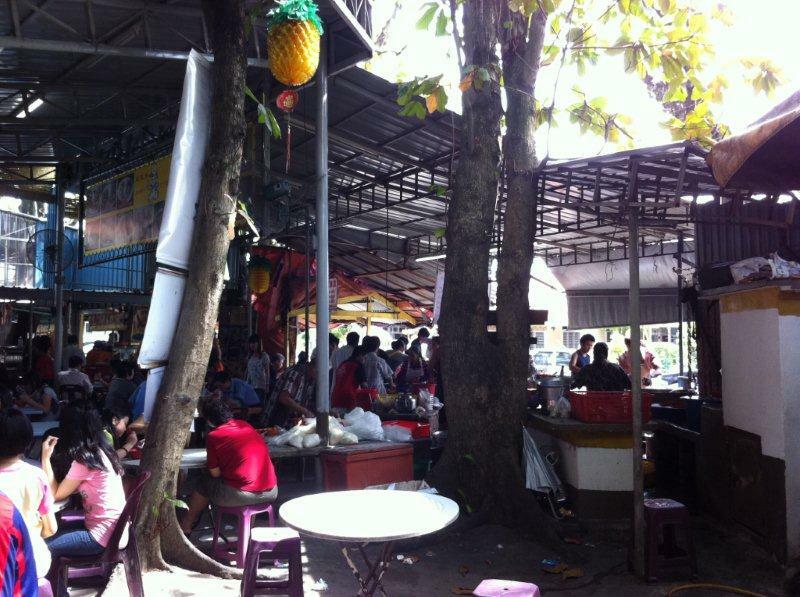 This place is sort of like a make shift hawker centre and got its name from the big trees around the area. Very messy place with movable tables and chairs all over the place. 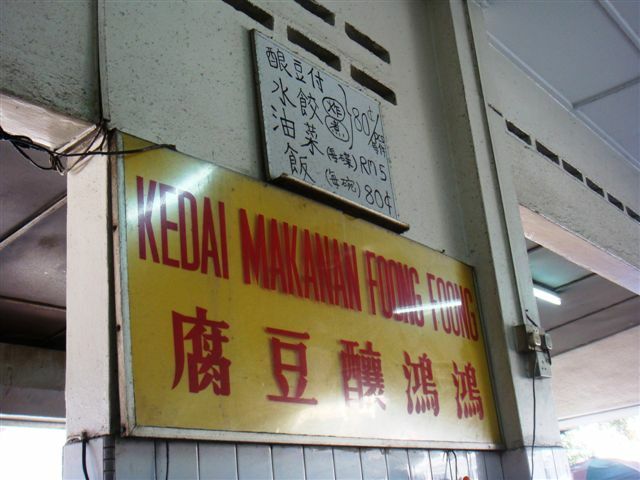 That’s why its popular with locals mainly and at one glance, you might wanna give this place a miss. But I tried… and I love it. That’s why I’m writing about this place. 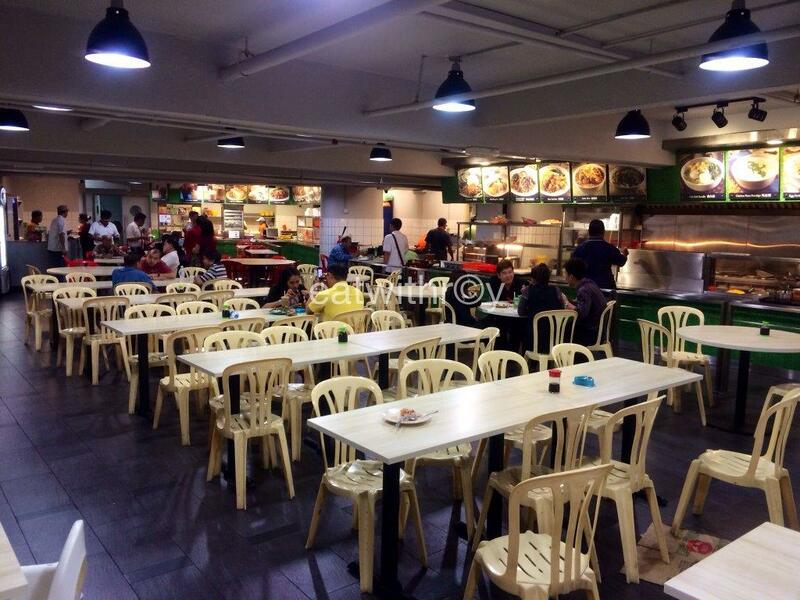 The original place that started is on the right side if you’re facing the food place… cos there’s another competitor came up with the exact same food offerings on the left side. See for yourself... messy right? But a lot of good food. 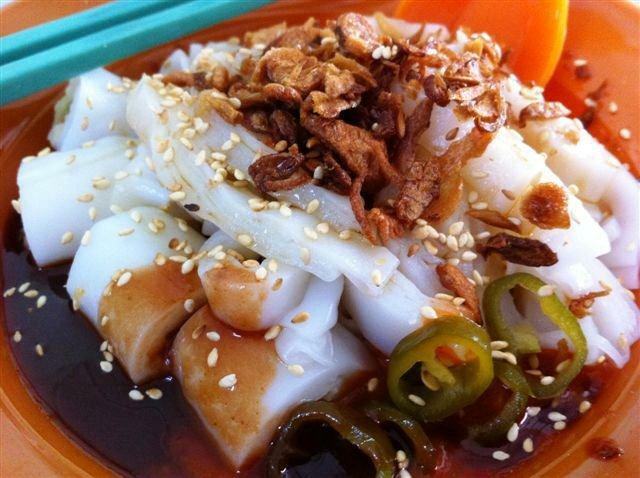 Poh Piah... Soso only and they spread a layer of chilli suace on the outer skin... weird.. 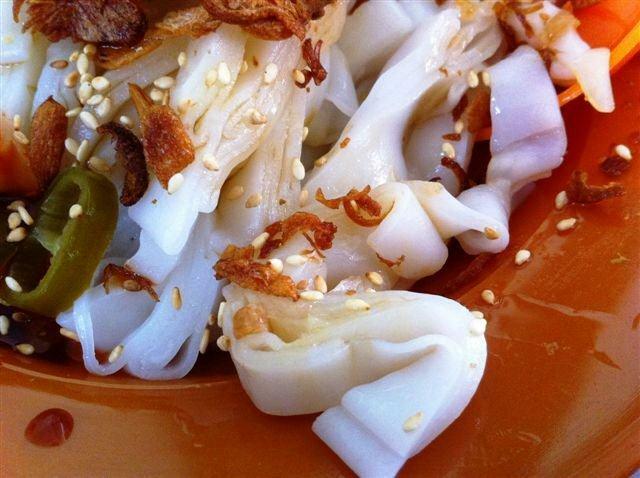 The Fried Stuff (Zar Ye) here is the best seller... go choose what you want and then choose the type of noodles you want. 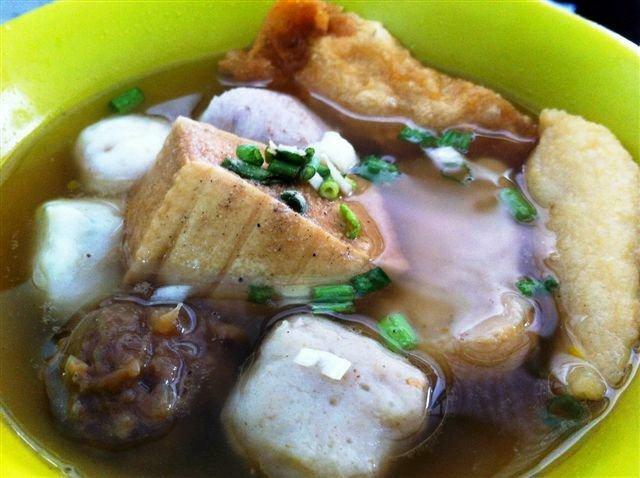 Curry hor fun... very nice. 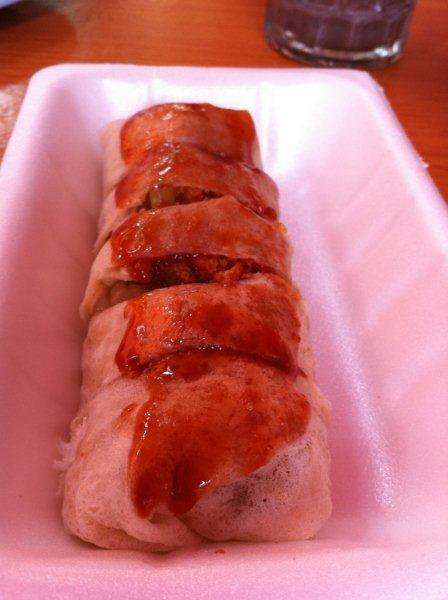 Taste: Very nice and tasty. 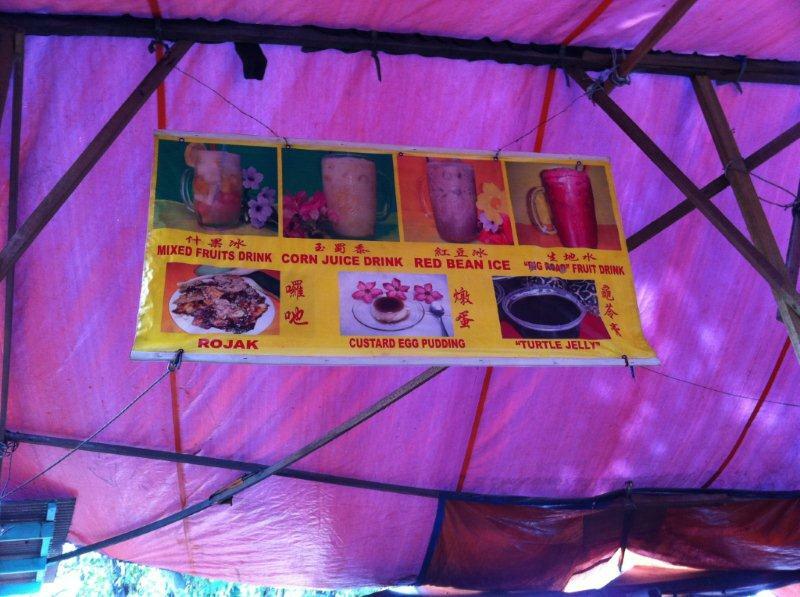 Can try the Char Kway Teow also to the left side of the food place. 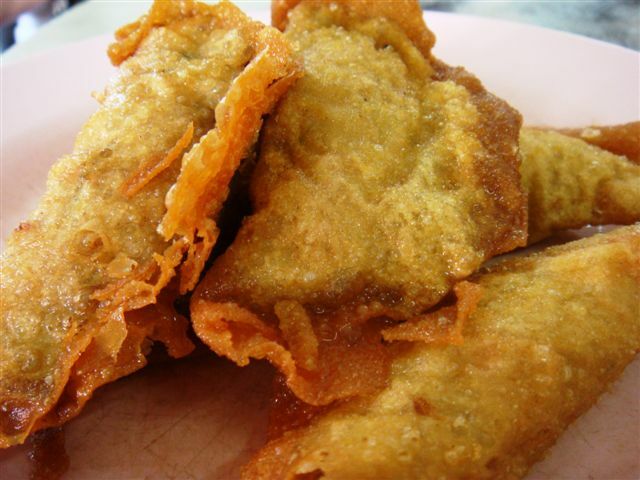 Keeps frying non-stop… must be quite good. 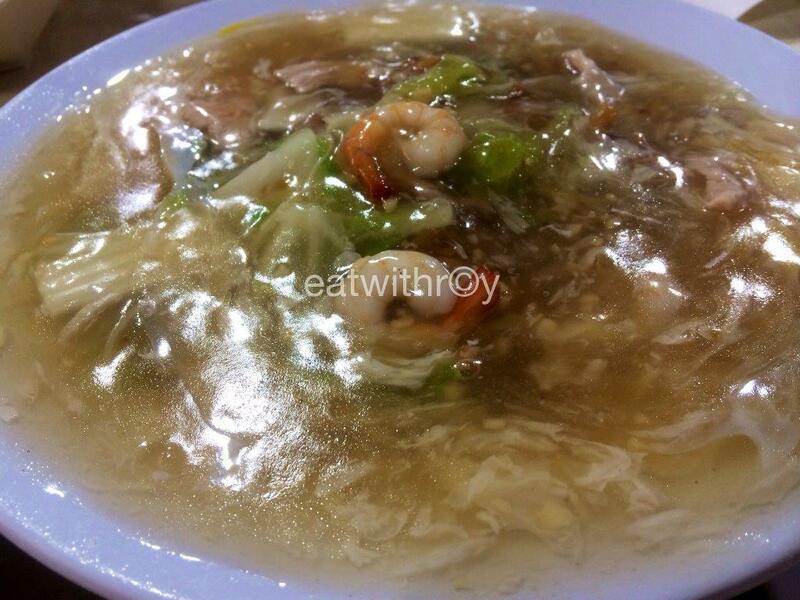 Location: Just tell cab driver 大树脚 (Dai Xu Keok) in Cantonese. Yes this is a coffee shop but not just the ordinary coffeeshop. 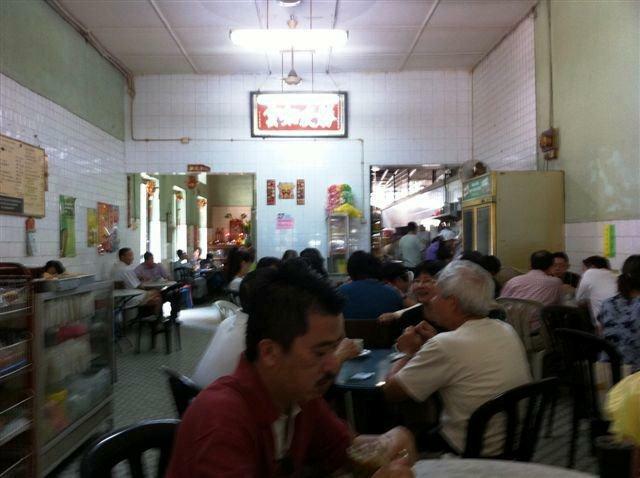 This is the birth place of the famous Ipoh White Coffee located at the Old Town of Ipoh. 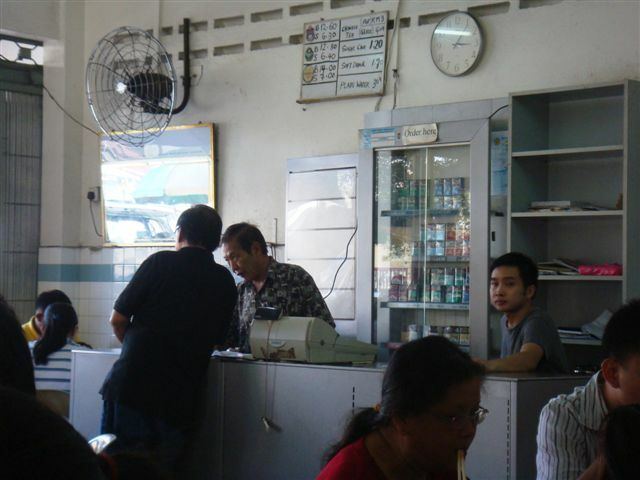 The white coffee was started by this coffeeshop much earlier than the famous Old Town White Coffee many of you know. 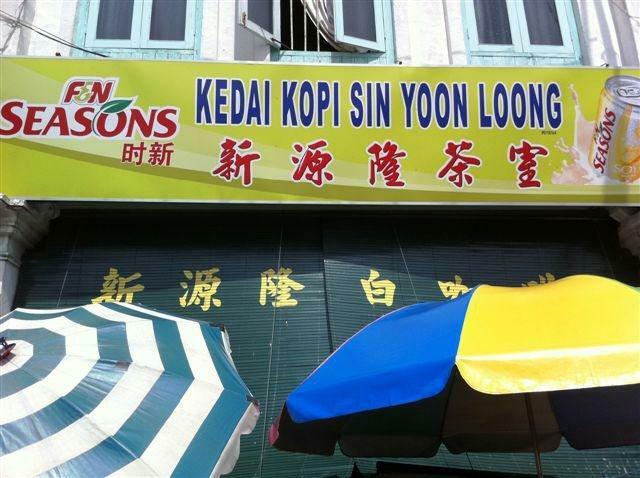 The latter is definitely more business minded as compared to Sin Yoon Loong, going into cafe franchising, instant coffee packs, and distribution to almost the whole of Asia. This coffeeshop however, insist on using manual frying of the coffee beans instead of automation and after tasting the coffee, I understand why they did not go into business expansions. The taste of the coffee I had that day, erased all other impressions of white coffee I had ever tasted. Such taste cannot be replicated in the form of 3-in-1 instant coffee packs. No way. 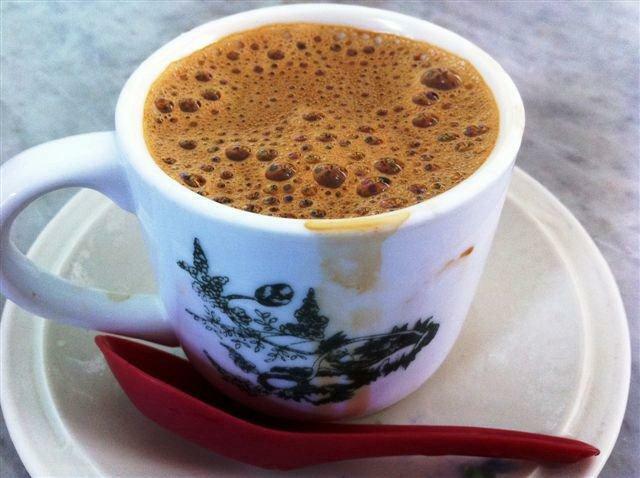 The famous white coffee... 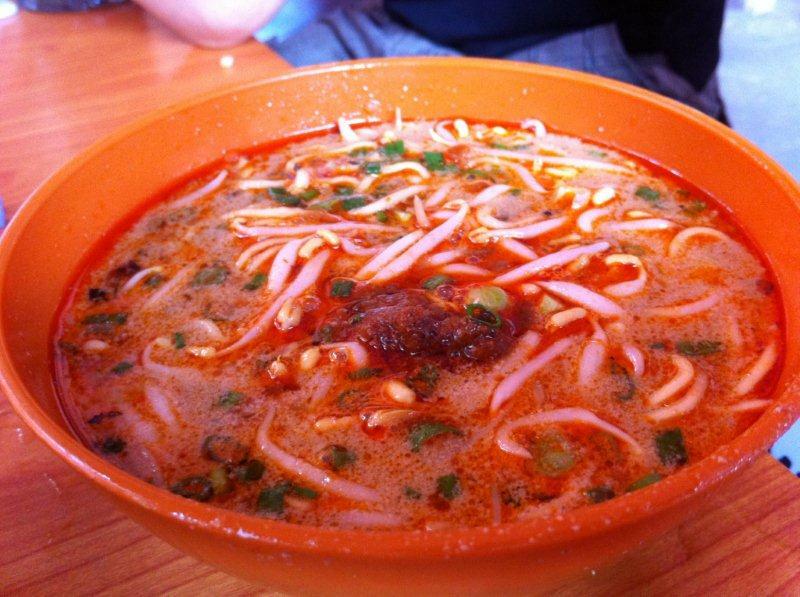 The taste and aroma are very strong. 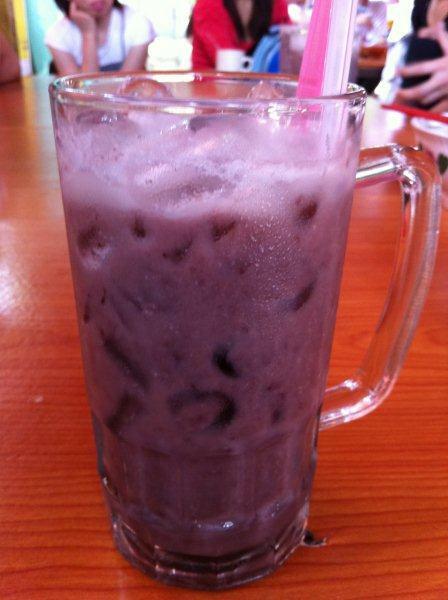 The best thing is, even when I ordered the iced version, the taste doesn't differ from the hot one. 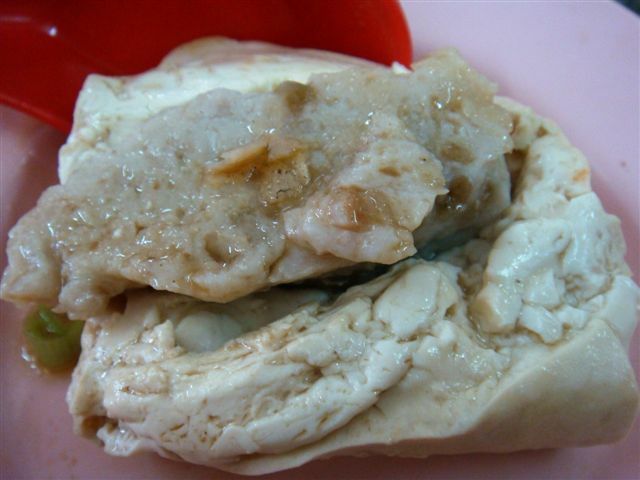 Cheong Fun in 2 versions... the tube type and the flat sheets type. 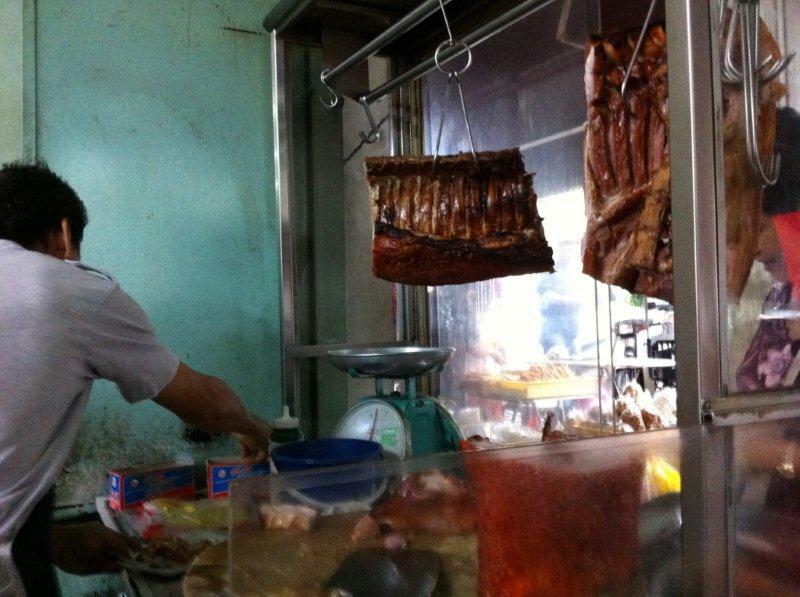 7.30am the roast pork stall opens... freshly roasted pork... can't resist! Rating: 5/5. 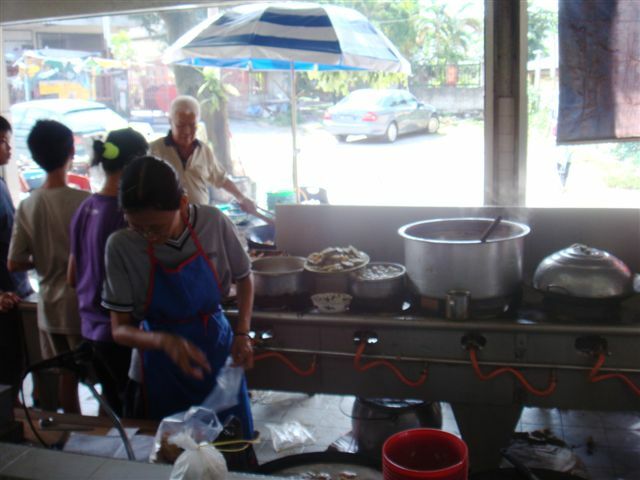 For both the food stalls inside as well as the coffee. Taste: Do I need to say more? 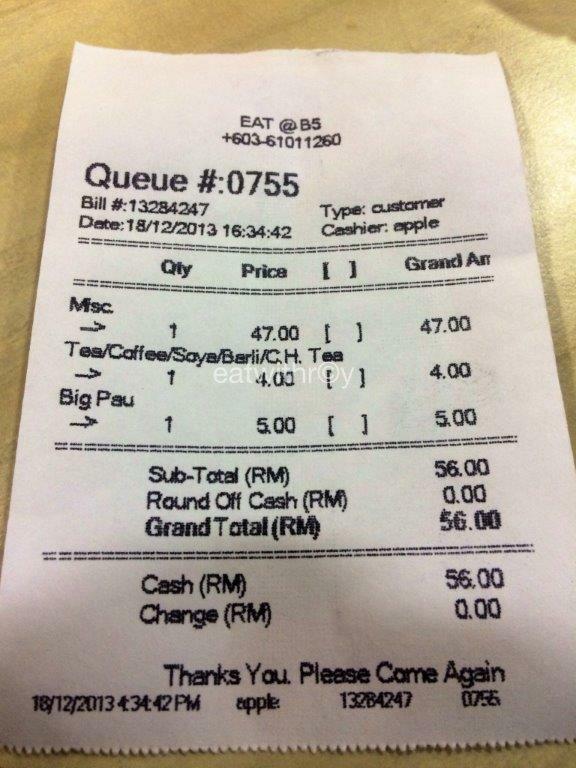 Price: Coffee is around RM$1.30 if I can remember clearly. RTE: YES!!! Best for breakfasts!!! 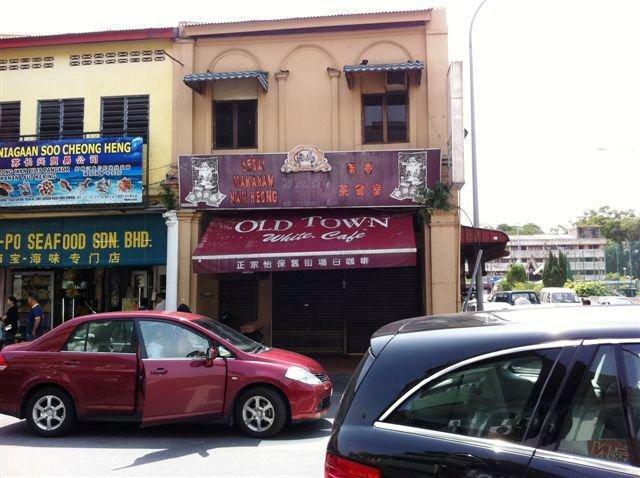 Location: Old town… just behind their Little India. Again, every cab driver knows where this is. There it is! Look at the crowd! 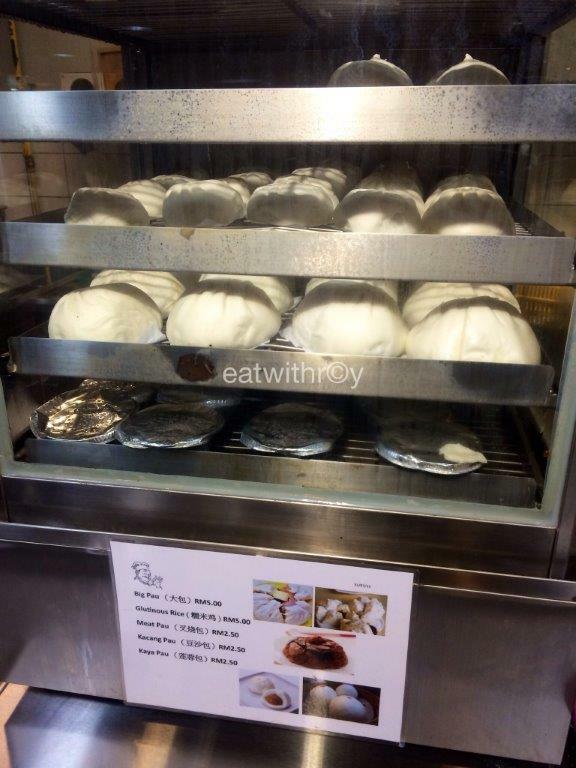 The ordering counter... which was new to me... haha... so before you reach there, ask around how many pieces you guys can eat first for the assorted yong tau foo, fried dumplings and soup dumplings! Saves time and you get to eat faster! 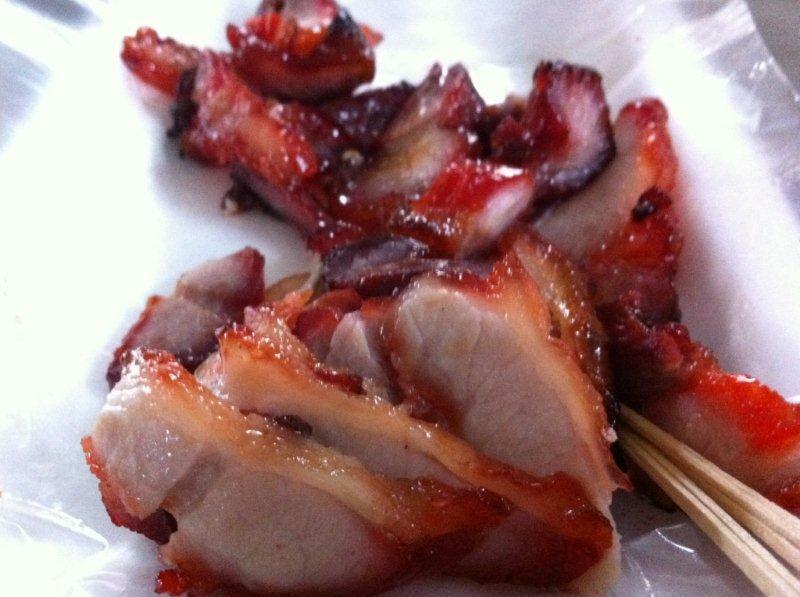 Putting this pic now makes me crave for this... why am I doing this to myself?!?!! 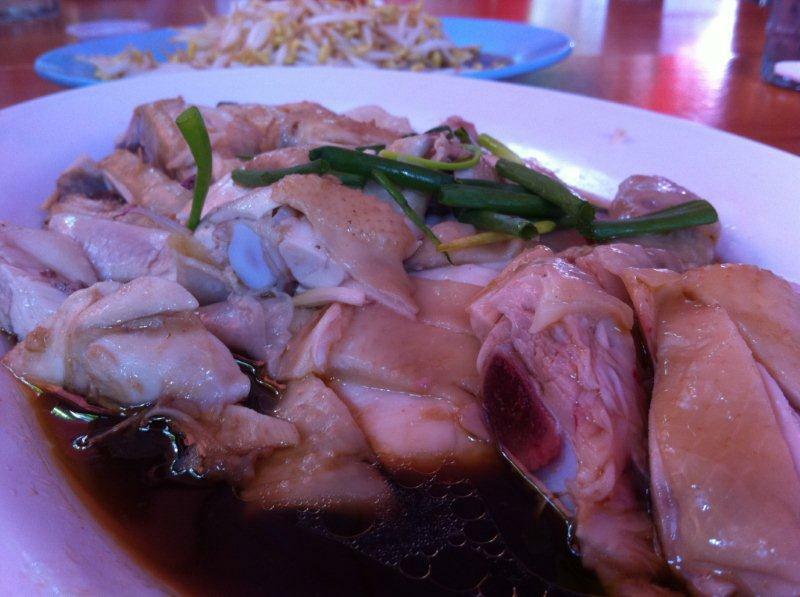 Huge piece of tau foo... you can taste the soy bean fragrance with every bite! Whhyyyyyy am I doing this to myself!!!! 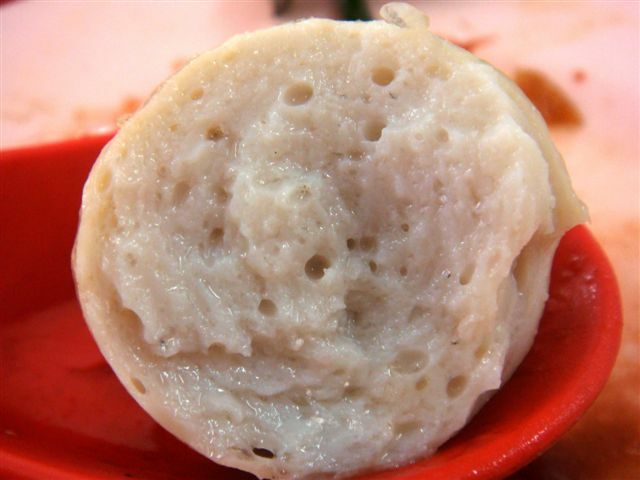 Fish ball in an egg shape. 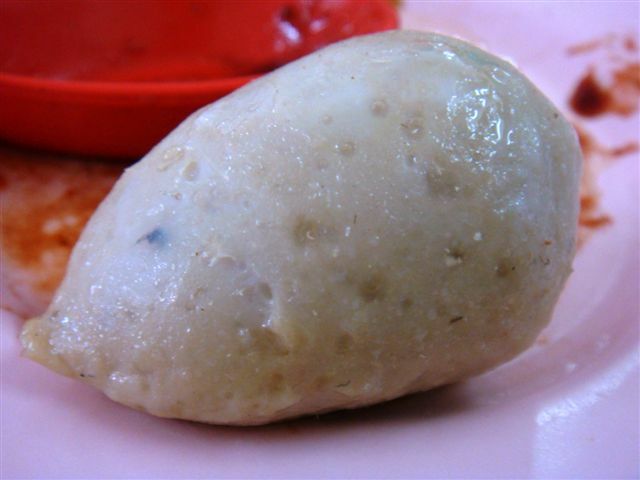 Cantonese call this 'Yu Dan' which means Fish Egg. 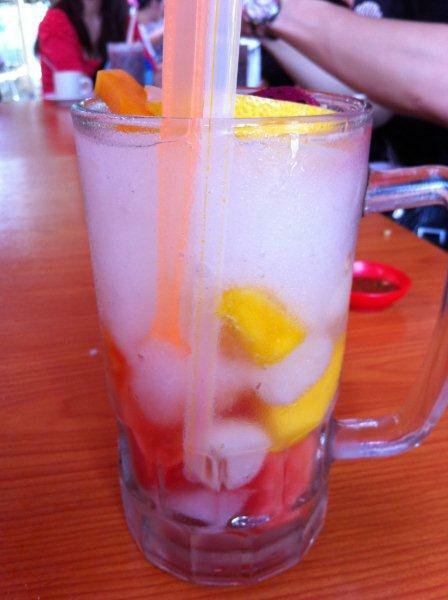 So this is truly Fish Egg!!! 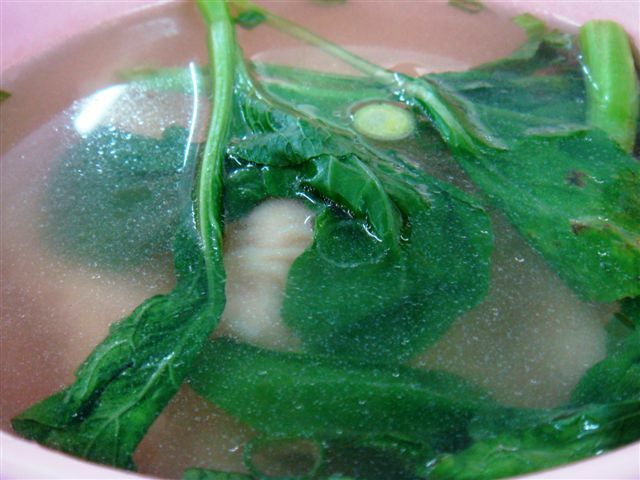 Dumpling Soup - Nice broth! Rating: 5/5. If I can give a 6, I would! 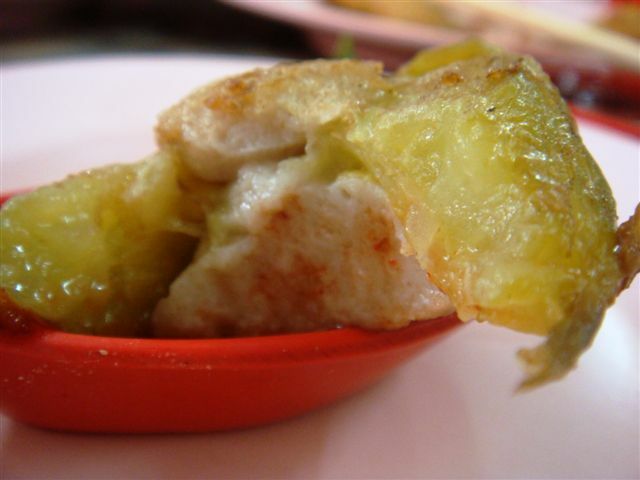 Taste: I can’t explain this heavenly taste… you have to go there and try it yourself! 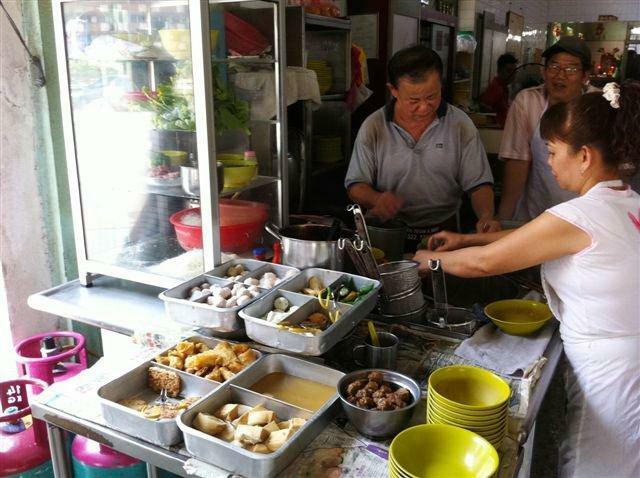 Singapore’s ‘ampang’ yong tau foo stalls all have to stand aside! Portion: Above average! Very big pieces! 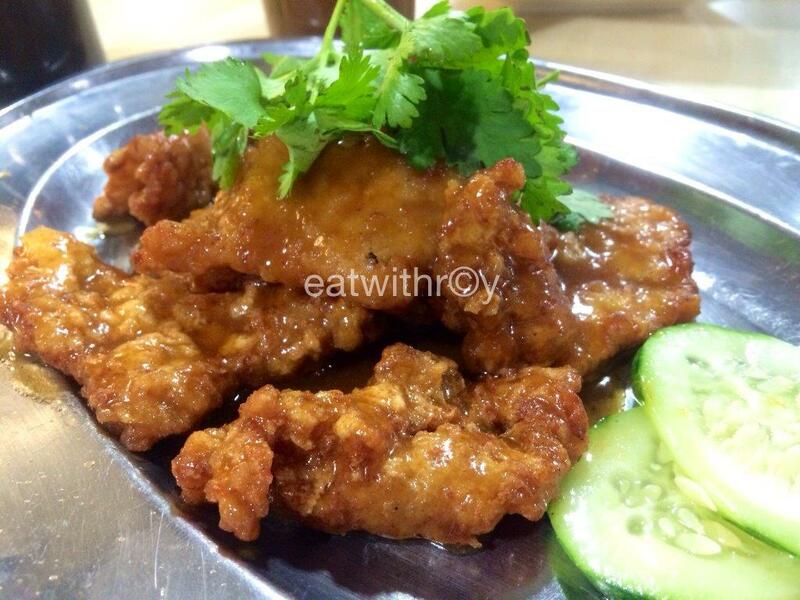 RTE: Whenever I’m in KL I definitely would! 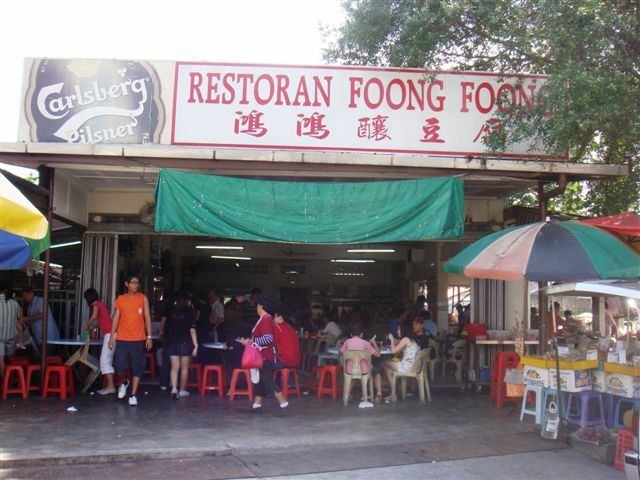 Location: Just tell the cab driver Ampang Yong Tau Foo Restoran Foong Foong. All cab drivers know it. Becareful some might take you for a ride to increase the fares. 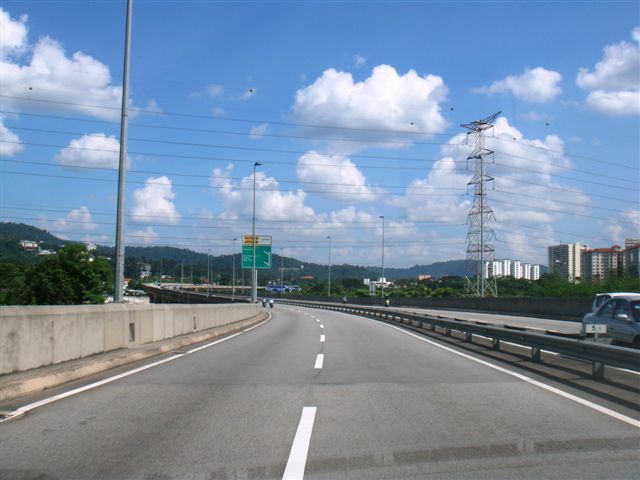 Should be about RM$20-$25 to reach there from town.